The predawn fog in Cades Cove was very thick and I could only see a few yards in front of me...Just as the sun began to break through the fog I heard the sound of thundering hoofs coming from my right. 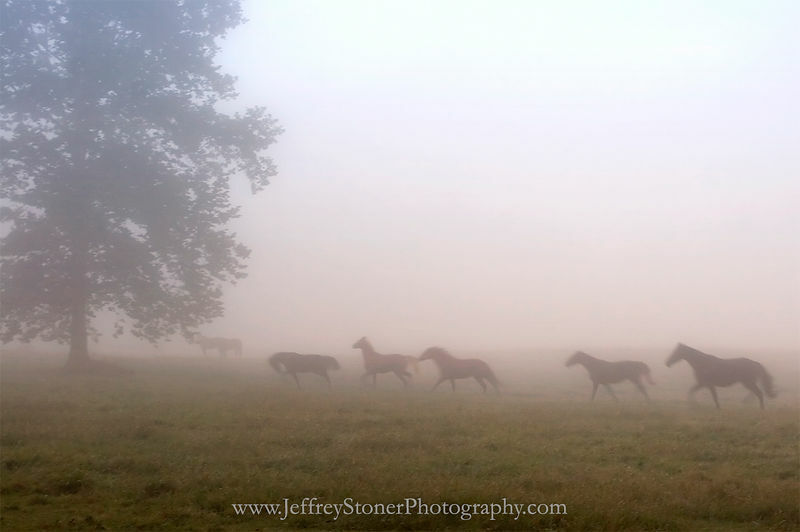 Suddenly horses broke out of the fog and raced across the field in front of me. 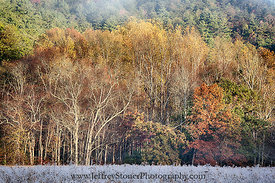 ..Cades Cove is located in the Great Smoky Mountain National Park. .